Surfing social media and news it appears a common consensus the commercial aspect of the winter holidays is gaudy, competitive and irrational. All the stress and buildup, the self-imposed anxiety – for one day. ‘Why do we do this to ourselves,’ almost audibly echoes from beneath the mountainous debris of crumpled wrapping paper littering the floor. Celebration. Reunion. The happiness on the children’s faces. We remind ourselves it’s worth it. Once the revelry is over, the wallet and roller-coaster of emotions dead on arrival, we’d do well to know how to recover from the holidays wisely, so the new year isn’t debt and drama on repeat. According to a December 14 through 18, 2015, Reuters/Ipsos poll, 54 million Americans had not even begun holiday shopping a week before Christmas. The poll also revealed 55 percent of shoppers nationwide are reticent about spending this season due to economic uncertainty. Somewhere trampled underneath buyer’s remorse and unsolicited critiques from extended family members visiting for the holidays, lies the thick skin to guard our emotions. Lisa Furst, a licensed master social worker who holds a master’s in public health, is also the director of the Mental Health Association of New York City’s center for policy, advocacy and education. In a richly educating article she offers tips on emotional fortitude through the holidays. “Some strategies that can help to reduce stress include … attending social gatherings that you most want to attend and not attending those that aren’t as important, and taking the time to practice self-care, including eating well, staying physically active, connecting with those people who matter the most to you and taking time out for yourself to relax and decompress as needed,” Furst advises. In the song, “The 12 Pains of Christmas” one man’s part begins with being frustrated about the messy ball of holiday lights; each stanza he gets increasingly angrier and by the end he’s a cussing, fighting mess. It’s funny because it’s relatable. Consider this holiday hub of organization advice ranging from planning gift budget, purchases, wrapping and storage – to systematizing décor. There are some who don’t stress about last-minute shopping because they say, they buy it as they see it, all year long. This strategy can be extremely effective for budget and peace of mind. However if the gifts never make it to the recipients and/or the volume of shopping is still high month after month, there may be a disorder hiding in their closet. “For many hoarders, it’s almost a game – trying to get bargains, good deals,” psychologist David F. Tolen says. He recommends shifting the focus for oneself or a loved one with this issue to creating memories instead. 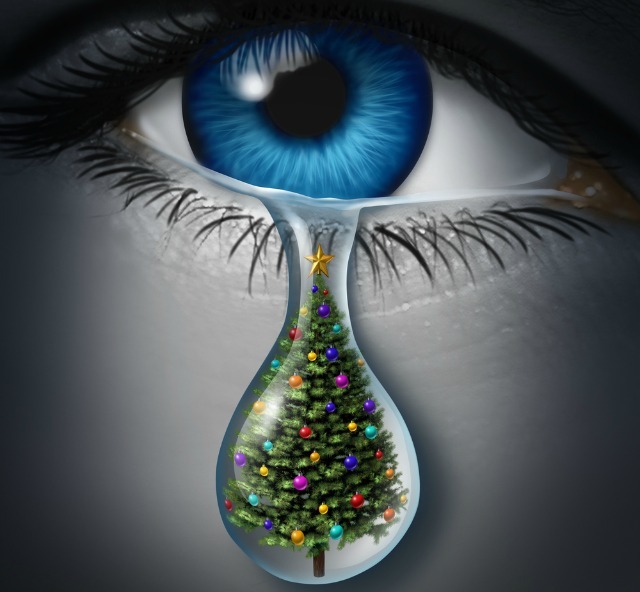 If holiday anxiety lingers for you well into Spring or further, if you can’t shake the blue Christmas or your year-round shopping honestly mirrors a compulsion, reach out for help. Sovereign Health is your source for timely and insightful information regarding all aspects of behavioral health. We are in multiple states and swiftly taking place as a leader in the treatment of mental health, addiction and dual diagnosis of co-ocurring conditions. Check off a New Year’s resolution and take advantage of refreshingly unpretentious treatment, to enjoy restored mental health this year forward.